Mumbai, Feb28: Father-daughter duo will share screen space for the first time in Farhad Samji's multi-starrer comedy. 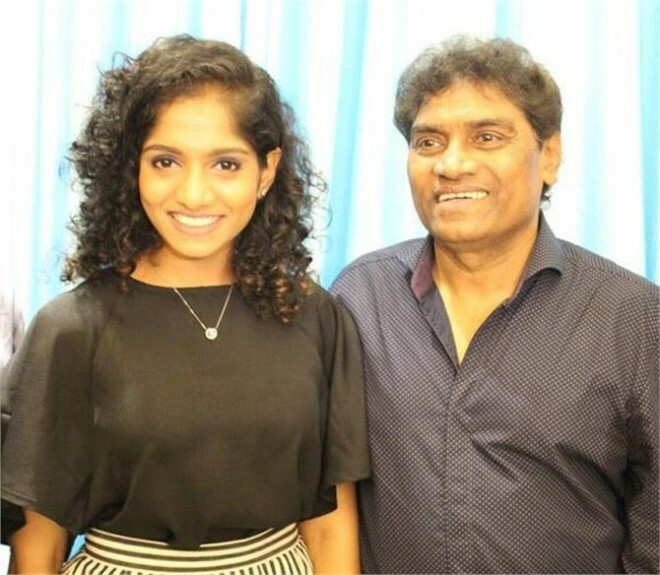 The father-daughter duo of Johny and Jamie Lever has come together for the first time for Sajid Nadiadwala's Housefull 4. The multi-starrer comedy is fronted by franchise regulars Akshay Kumar and Riteish Deshmukh and new additions Bobby Deol, Kriti Sanon, Pooja Hegde, and Kriti Kharbanda. According to a source close to the development, Johny and his daughter, who has followed him into comedy, are a part of an important thread in the story. "Jamie would enact her scenes with her father to improve her comic timing. The script has her sharing screen space with Akshay and Riteish. It is screenplay-driven humor, more in the situational comedy sphere, so it was all about getting the expressions right," the source added. The reincarnation comedy is divided into two eras and Jamie and Johny feature in both. "The Baahubali era is a set-up of huge palaces and heavy costumes for which the actors underwent a special makeover with an element of humor in it too," the source informed. A major chunk of Housefull 4 was shot in the UK, while the past-life sequences were recreated on a Mumbai set. "Sajid (Nadiadwala, producer) was keen to shoot the portions on a set as that would enable the director to capture the grandeur of the palace and give it a realistic touch. The visual effects are primarily being used in the long shots," the source added.